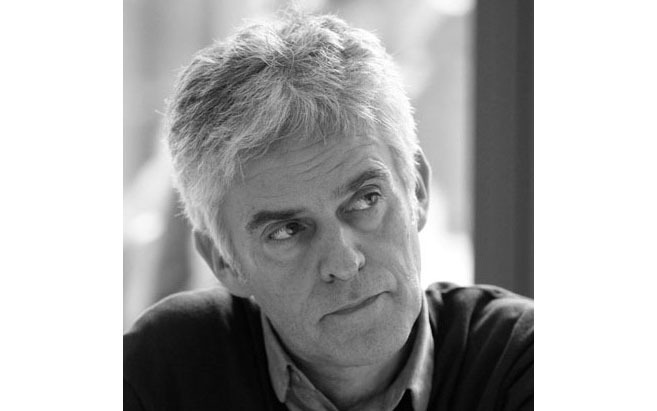 UCL IEDE are delighted to announce that the Provost has conferred a Visiting Professorship on Ian Taylor, DipArch RIBA, Managing Partner at Feilden Clegg Bradley Studios (FCBStudios). Ian Taylor is a multi-award winning London based architect. He has won 16 National RIBA Awards, with two projects reaching the RIBA Stirling Prize short list. In the 1980s and 1990s he worked at two of London’s most influential environmentally aware architectural practices: Arup Associates, and Bennetts Associates; before joining Feilden Clegg Bradley Studios in 2001, where he is now one of six Partners in the senior team, Managing Partner in the London office and leads the Research and Innovation Group. His deep understanding and enthusiasm for integrated building design and development that minimises environmental impact, while delivering exceptional user experience, has driven his professional career. For the last ten years he has been involved with the MSc in Environmental Design and Engineering at UCL, and has led the practice’s joint research projects with UCL. Working in the multi-disciplinary team lead by Peter Foggo at Arup Associates, he developed close working relationships with the building services and structural engineers sitting alongside him in the group, developing collaborative working methods to focus on holistic design solutions without strict boundaries between disciplines. This design approach naturally followed on from Ian’s education at Cambridge University’s Part I and Part II course, under the guidance of Professor Sandy Wilson, Dean Hawkes and others, where the design, technical and theoretical approach emphasised the importance of environmental considerations, supplemented by knowledge of the contemporary Post Graduate Research including Alex Pike’s Autarkic House project. Ian’s final project at Arup Associates was its International Competition winning scheme for Paternoster Square, which was subsequently halted after the intervention of a classicist revival scheme supported by the Prince of Wales. This environmentally conscious design approach developed more fully at Bennetts Associates when he joined Rab Bennetts (whom he had worked with at Arup) to develop some of the most influential naturally ventilated and mixed mode buildings of the 1990s: the Powergen Headquarters in Coventry, the Stirling Prize shortlisted Jubilee Library in Brighton and Wessex Water Headquarters in Bath (RICS Building of the Year) the latter two of which Ian led. While at Bennetts Associates he also won the open RIBA competition for the design of the Richard Attenborough Centre at the University of Leicester which he took into the practice and was also subsequently shortlisted for the RIBA Stirling Prize, while receiving both the Health and Education Building of the Year Awards in 1998. This was the first UK building to take a serious design led approach to an architecture for Universal Access, considering the impacts of acoustic, visual and tactile design on orientation and functional performance to users with disabilities. Ian’s designs not only promote good health and wellbeing but reach further to create safe, equitable places to live and work. By inspiring novel, but well founded, applications and techniques he has been responsible for reducing both the carbon impact of the construction process and for developing buildings that are significantly environmentally benign throughout their life-cycle. He was involved in the first Building Research Establishment’s BREEAM for Offices User Group (1997-98) helping define the initial performance and award criteria, and in the development of its ENVEST software to deliver buildings with low environmental impact and whole life cost. As the lead Partner in the FCBStudios design teams working with BioRegional (the original client of BedZed) Ian has closely been involved with the development of the implementation tools for One Planet Living agenda. He was an early advocate of sustainable water use and the sustainable sourcing materials and employed these principles extensively as lead architect on the first One Planet Living Community in the UK, at One Brighton. The complex of 172 highly insulated affordable apartments, offices and community space in two multi-storey blocks realistically provided residents with healthy, low cost, low environmental impact homes. Importantly the holistic skills employed by Ian ensured that this development was not only environmentally sustainable but fiscally attractive with re-sale and rental values outperforming local benchmarks. Ian has extensive experience in arts and culture, low-energy masterplanning, universities, schools, workplaces, and innovative housing projects. His recent projects at Feilden Clegg Bradley Studios include leading the repair and renewal of the Hayward Gallery and Queen Elizabeth Hall at the Southbank Centre, master planning for the Imperial College Healthcare NHS Trust at St Marys Paddington and the design of their new Outpatient Building which received planning approval in early 2018. He has been leading feasibility and briefing studies for the London School of Economics for the last ten years, and has led the design of six RIBA award winning schools in the UK. He is currently designing a new Academy School in Dhaka, Bangladesh for the Aga Khan Academies (which won the World Architecture Festival Future Education Award in 2017) and the masterplanning science laboratories for the Royal Scientific Society in Jordan, alongside new buildings for the Princess Sumaya University of Technology in Amman. Ian leads the Research and Innovations Team for his practice. He has been strong supporter of our doctoral training programme, and has co-funded three engineering doctorates with us (2010-2022), and collaborated with us on the successful development of RIBA|CIBSE Carbon Buzz energy performance disclosure platform. Ian also supports our collaborative research with Tsinghua University (EPSRC, Total Operational Performance of Low Carbon Buildings in the UK and China) and preparation of our joint doctoral training bid with Computer Science. Ian has been lecturing at the Insitute for Environmental Design and Engineering since 2005. He has been instrumental in the creation and development of the recently launched MEng in Engineering and Architectural Design and continues to proactively advise on the evolution of courses to ensure they continue to meet the needs of a future environmentally challenged society. Ian has an ambition to establish cross disciplinary research links and a potential new research project in the next five year period, involving architectural, building services, acoustics, spatial perception, and structural disciplines, with potential links with the Universities of Cambridge, Bath and Harvard. Earlier in his career, in between his work at Arup Associates and Bennetts Associates, Ian instigated and organised site specific art installation events in found spaces, working on projects in locations from the disused Wapping Pumping Station to Grand Central Station Los Angeles. It is this breadth of interest, alongside his strong architectural experience, that sets him apart as an excellent exponent of cross disciplinary architectural design. Current climate predictions on the impact of world carbon emissions demonstrate the serious threat to our future way of life, and the comfortable occupation of buildings. There are imperative changes needed to try to avert the most serious consequences: for example we need to improve the performance of existing UK homes that will still constitute 85% of the total in use in 2050, and for new build, with a construction cycle of three years from brief to occupation, we only have four end-to-end opportunities to learn how to address these changes by 2030. I look forward to continuing research with The Institute for Environmental Design and Engineering (IEDE), and supporting the new MEng Architectural and Engineering Design course run collaboratively with the Bartlett School of Architecture and UCL Civil, Environmental & Geomatic Engineering (CEGE) which offers students opportunities to help address the issues ahead. I’m very excited that Ian Taylor is joining us at The Bartlett as visiting professor. The Bartlett has had a long association with Feilden Clegg Bradley Studios (FCBStudios). and values the engagement with the practice. Ian’s experience will be a tremendous value to both the staff and students at UCL’s Institute for Environmental Design and Engineering.